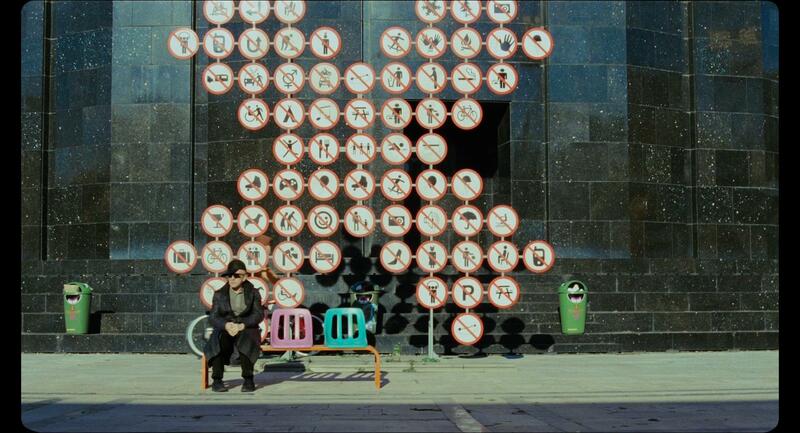 THE ZERO THEOREM is another G-movie. As in Terry Gilliam. G for goofball/gadfly/geek/genius. Since he was a young man in L.A. he’s been taking society to task for its soullessness, while drenching his dystopian visions (which take in past, present and future, often all at once) in enough visual invention, design dazzle, camera fluidity and casting acumen to mark him as A Threat To The System From Within. That many of his projects draw flak over budget considerations, studio wrangles, and audience split, that he often promises more with his ideas and flourishes than his stories deliver by the time they wrap doesn’t cool the ardor from his fervent fan base. That the guy is “on to something” (you could drop the ‘to’) is clear: his quest is for the unfettered release of the imagination as response to the stifle of conformity, particularly the brutish hypocrisy of conformity as demanded by The State. He also likes dwarves–it’s almost a signature. This time out (hardly anyone saw this as it snuck in through the mouse-hole) his we-are-pawned tale emerges from nothing less than Ecclesiastes, the book in the Bible that ponders the meaning of life, its value, its point. 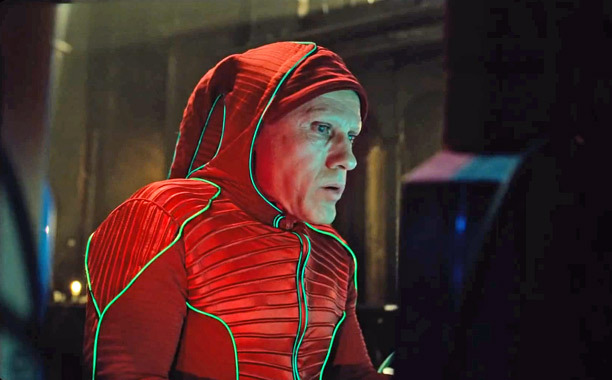 Directing off a script from Pat Rushin, Gilliam has his leading man (the great, fearless Christoph Waltz) playing a computer programmer, basically enslaved to his endless and insoluble work (he ‘crunches entities’), submerged in a digital-crazy world of corporate rubbish, constant advertising, total surveillance and manufactured pretend joy. 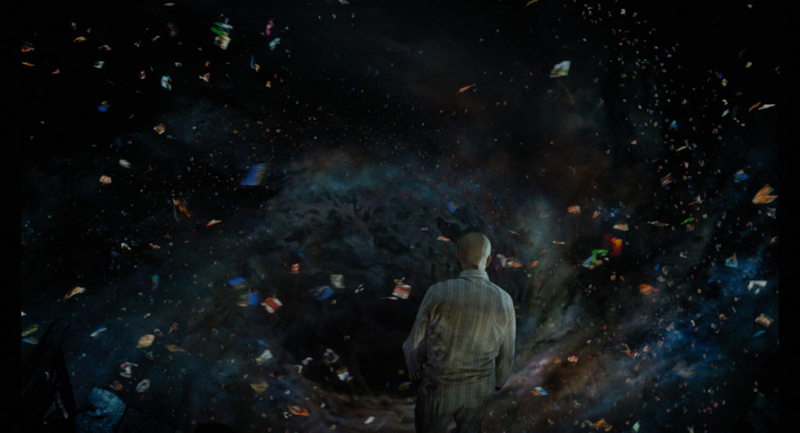 Journeying toward what appears to be a giant black hole of ether that awaits the end of ‘usefulness’ (the scene of zillions of individual human ‘templates’ whirling into the maw is pretty wild), Waltz, playing a spirit-shattered nerf named ‘Qohen Leth’ (a mashup of the Hebrew name for the person who supposedly penned Ecclesiastes), is aided/ confounded/seduced on his un-merry way to enlightenment-via-disconnection by an absurdly enticing French femme fatale named Melanie Thierry. She’s kind of Bardot-ish in her sexiness, blessed as well with great comic timing. 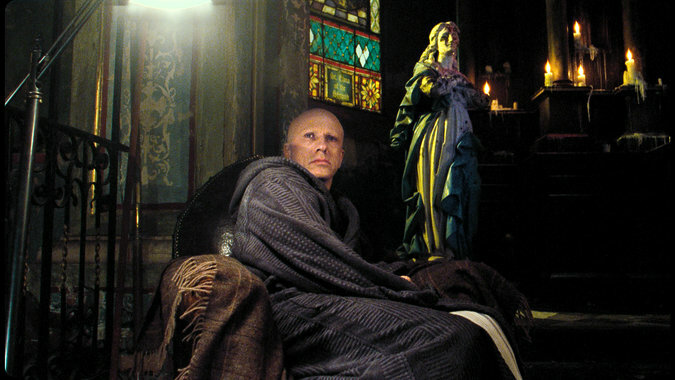 Gilliam favorites along for the cornucopia of bombarding colors and themes (art direction and costumes both sensational) are David Thewlis, Matt Damon, Tilda Swinton and Peter Stormare. 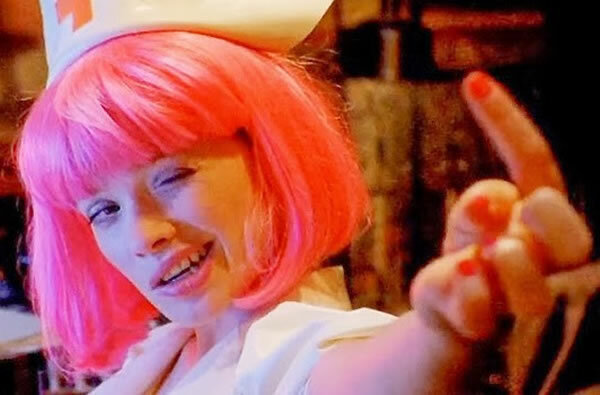 Shot on a small budget (for Gilliam anyway) in Romania, released in Europe in 2013, then the next year in the States, it drew bare interest from reviewers and tepid box-office. It’s steam begins to run down in the last fifth of its 107 minutes, but there are many rich moments on the way there. I’m not a fan of Gilliam’s ‘classics’—the assorted Python flicks or Time Bandits and Brazil: they wear me out with their oppressive in-your-face color palettes, and they seem more smug than scintillating (their devotees just socked the monitor), but I loved The Adventures Of Baron Munchausen (which makes three of us) and liked 12 Monkeys, The Fisher King and the much-maligned Fear And Loathing In Las Vegas. His work, if nothing else (beyond its sheer skillful massing of influences and effects) does bring up that unsettling pull-the-plug wish people get when they contemplate the future our overlords are herding us into—we hope this maniac matrix will collapse before we get There (the kind of there we can’t come back from), even though the collapse bodes more discomfort than we might wish to endure. Wait, what am I saying?—There is already Here, since no doubt each keystroke I just made and you read has been filtered through a dozen agencies staffed by people who only have our ‘well-being’ in mind. How to fight back? Forget voting–when was the last time that did any good–1960?— or grabbing a rifle (the guys you’d fumble to use it against like to shoot people and you are probably reluctant, so save yourself $300). Start by throwing your cell phone out the window. Don’t just toss it blindly: it might hit a cat. Try being a real revolutionary: hurl it at another phone being caressed in the hand of some consumed consumer walking down the street, gibbering into the damned thing instead of looking at the trees, thumbing its ‘face’ instead of the pages of a book while riding the bus, or using it to take selfies with the goddamn dessert tray instead of talking to their companion at dinner. Kamikaze Phone Flinging. Just a thought….